We asked over 800 guests to tell us about their “wedding confessions”—the truth about what they’re really doing on your big day. Your wedding is going to be a blur—you should be focused on having an amazing time and hope your guests are doing the same (and be glad if they’re following wedding guest etiquette, too!). However, in the days and weeks following your wedding, you’ll probably wonder—what the heck really happened at my wedding? Sure, your besties will dish on some of the behind-the-scenes gossip, but it’s impossible to get the full scoop on every guest’s experience. We asked over 800 guests to tell us about their “wedding confessions”—the truth about what they’re really doing and if they’re breaking wedding guest etiquette in the process. They’re on their phones—pretty much all the time. 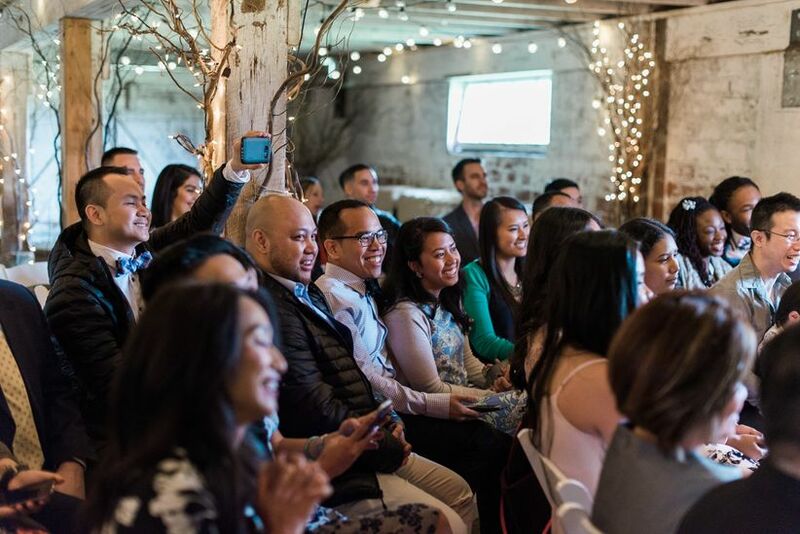 While 19 percent of couples host “unplugged weddings,” expect your wedding guests to be pretty attached to their devices during your nuptials. Over half of guests use their phones to take photos during a wedding, and 27 percent of guests post photos from weddings on social media during the event (28 percent use the wedding hashtag when doing so!). While phones can be great tools when it comes to photo-sharing, there’s also a major downside. Eight percent of guests admitted to having their phone ring out loud during a wedding (a major wedding guest etiquette no-no)—so be sure to ask your guests to silence their devices during the important moments of the day (a note in your ceremony program is a good way to do this!). We’ve all been there—sitting at a wedding and mentally grading everything from the flowers to the attire. You’re not alone. Turns out 31 percent of guests judge weddings against their own or others they’ve attended. And they’re not always happy with what they’re seeing. In fact, 30 percent of guests have attended weddings where they thought the bridesmaid dresses were ugly, and 21 percent have hated the bride’s dress. So while this may seem a little alarming, remember that this is your day—as long as you’re happy with your wedding style, your guests will have to deal. They may not be super-thrilled to be there. Everyone puts on a happy face at a wedding—but some guests may secretly not be the most psyched to be attending. According to our survey, 22 percent of guests wished they could have turned down a wedding invitation, and 27 percent of guests attended a wedding when they thought the marriage was a mistake. So don’t be afraid about cutting that guest list down—you only want to invite folks who you know will be over-the-moon to celebrate with you. 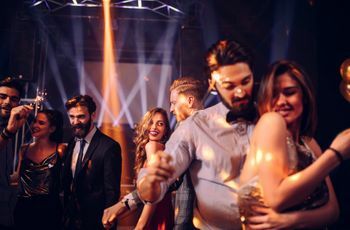 This goes for bridesmaids and groomsmen, too—10 percent of guests have turned down an invite to be in the wedding party. And some guests may be a bit more blatant about their lack of interest—seven percent of guests admitted to falling asleep during a ceremony! They may break wedding guest etiquette rules. 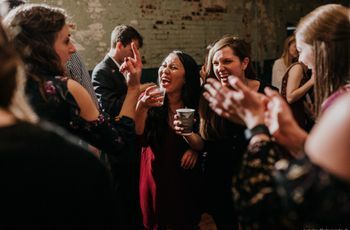 While we hope that our loved ones follow proper wedding guest etiquette, it’s pretty likely that rules will be broken. From taking more than one favor (23 percent) to arriving late to the ceremony (18 percent), you’ll have to brush off these etiquette blunders. 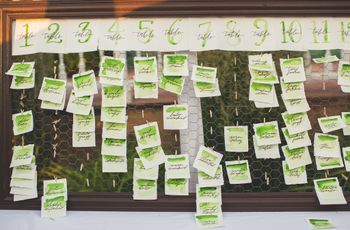 However, some guests made more offensive faux-pas, including not attending a wedding at the last-minute (9 percent of our respondents have done this), bringing a guest even if they weren’t invited with a plus-one (9 percent) and wearing white as a guest (8 percent). They just want to have a (really) good time. In the end, weddings are all about celebrating—and your guests may take matters into their own hands to ensure they have an amazing time. 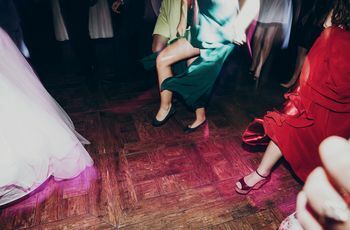 Turns out that 38 percent of guests take off their shoes during a reception—if it means they’re hitting the dance floor, so be it! Alcohol may also be part of the equation here, as 17 percent of our respondents said that they’ve hit an open bar a bit too hard at a wedding (hire professional bartenders to make sure things don’t go overboard). 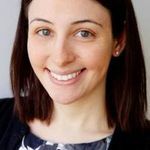 And if you’ve got single guests, starting a relationship of their own may be a priority during your big day—10 percent of guests have admitted to hitting on a member of the wedding party. With all of the love in the air, we guess that’s to be expected.